we focus on taking care of people first. our team is a passionate group of specialists that puts you and your car first. by taking care of our people they are free to focus on taking care of you and your car. created in 1989 as a high performance tuning company Abd built numerous award, show, and race winning cars. using those cars to market an award winning line of performance products. over the years the demand for all aspects of vehicle service and repair forced abd to expand operations and bring on new talent carefully selected from diverse backgrounds that include the 24hrs of le mans and even faa certified air plane engine assembly. to ensure that the level of care your vehicle receives is quite simply everything it should be. through caring for your vehicles we play our ever-growing part in the community. making sure you and your family can trust your vehicle to get you there safely and comfortably, and do it with the level of style and performance that you demand. Abd provides value not by being the cheapest, but through unflinching honesty and developing relationships with you and your car. through exclusive use of the best quality parts, and procedures that ultimately ensures you can count on doing the right repair, and doing it once. abd racingwerks llc has the oem factory software necessary to provide any service the dealership can provide and more for mercedes, porsche, audi, bmw, and volkswagen. call if your vehicle is not listed above to see if we have a specialist on staff that can provide the correct level of service for you needs. We have a special on VW/Audi cam chain/tensioner replacement jobs. Also includes High Pressure Fuel Pump (HPFP) follower/cam replacement on direct injection motors. 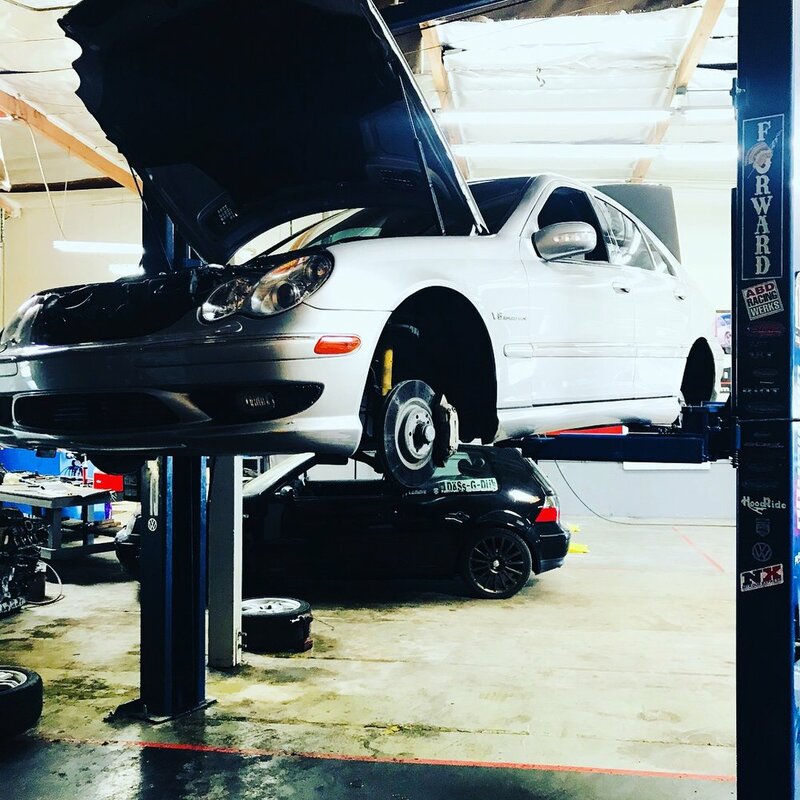 We provide factory level service and repair on all late model, and early model Mercedes-Benz products (except sprinter vans). Including common services like leaking cam plugs.